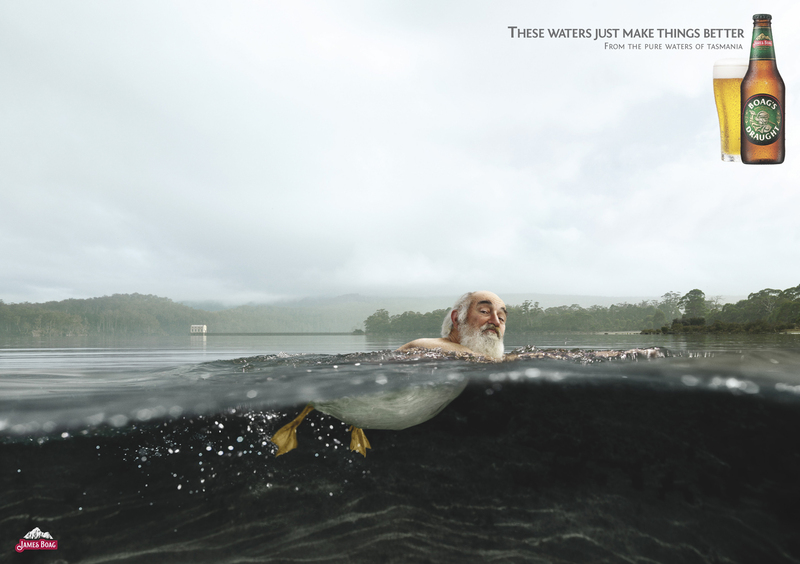 Boags Draught, the Tasmanian beer from Lion Nathan, is continuing with the “Pure Waters” of Tasmania campaign, recently showing the effects of those waters on those who swim in it. 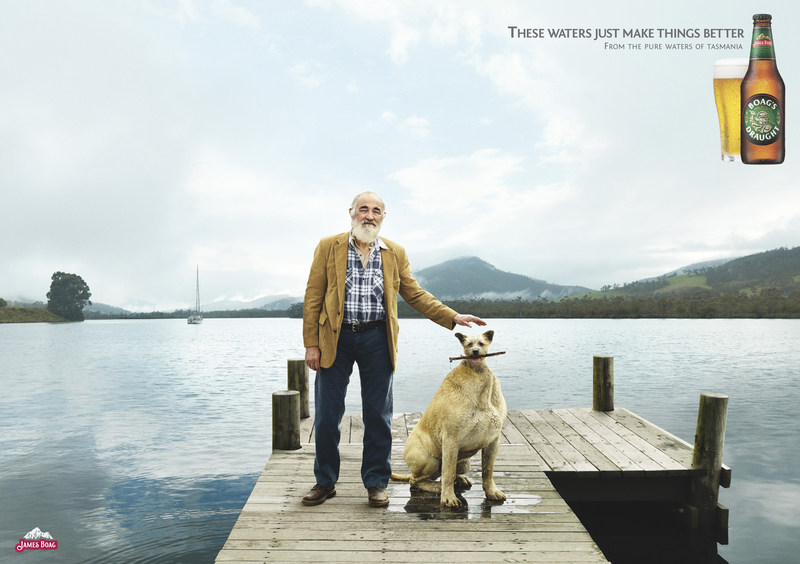 The Melbourne Cup related print advertisement is being supplemented with two more ads featuring John Flaus, duck feet and the powerful swimming muscles of a dog paddler. The Boag’s Waters campaign was developed at Publicis Mojo, Sydney, by creative director Micah Walker, art director Steve Wakelam, copywriter Justine Armour, art buyer Alison Dunlop. Photography by Michael Corridore was produced by Ben Hams with retouching at Cream Studios.